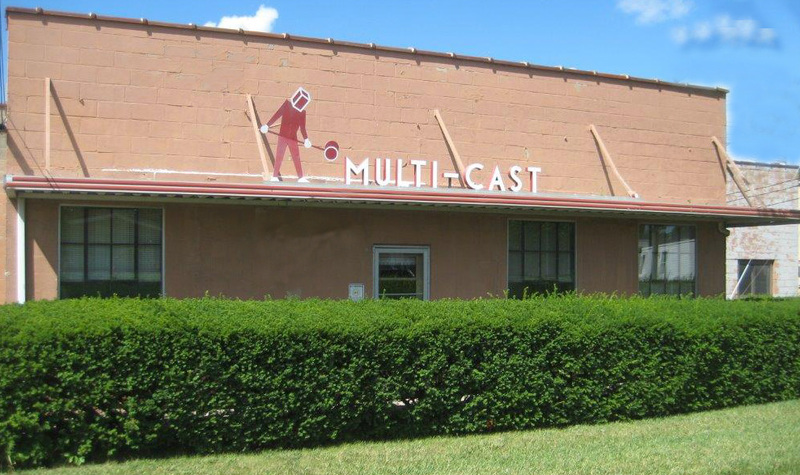 Multi-Cast was founded by the Metzger family in 1946 and since then we have been producing high quality castings for a variety of applications. Multi-Cast has proven to serve our customers needs efficiently throughout North America by producing consistent quality non-ferrous sand castings from our dedicated, experienced team. We offer value added services such as heat treatment, machining, powder coat, paint, anodizing, polishing, and plating. From our traditional molding, to the use of our automated molding equipment, Multi-Cast can produce a wide variety of aluminum parts for many different industries. Since 2015 Multi-Cast has been owned by Evans Industries, who began in the early 1900’s, invests in U.S. manufacturing companies and is committed to providing excellent product quality, delivery and service.